With our all-inclusive traditional assisted living, residents enjoy all the support and assistance needed along with the privacy and convenience of a monthly rental studio, one- or two-bedroom apartment. Each traditional assisted living apartment includes a kitchenette and private bath. Should needs change, Linda Manor Assisted Living’s Life Enrichment Memory Care program offers just the right amount of space for comfortable assisted living with memory care. 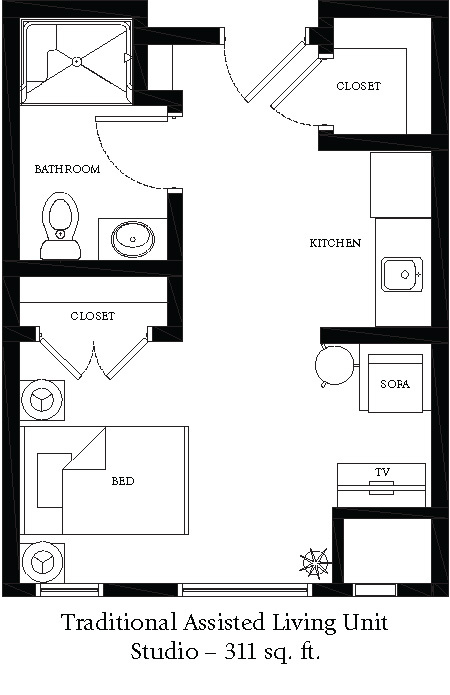 See our Memory Care Apartment Floor Plans. Schedule a personal tour and see how your life fits the Linda Manor assisted living lifestyle.